Mr. Foster has been at Harvard since 1983. The overarching goal of his research is to understand the processes that shape a landscape. Harvard Forest is one of 100 centers of long-term ecological research funded by the National Science Foundation (NSF). Its focus is on the whole of New England, but before 1990 its research was concentrated on inland ecosystems. “In the early ‘90s we started to study the coast,” Mr. Foster said. 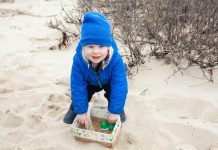 “There are different environments, different human uses, and many rare and endangered species.” Between 1990 and 2005, the Mellon Foundation and NSF funded Harvard Forest staff to study the landscape history and ecology of Cape Cod and the Islands. 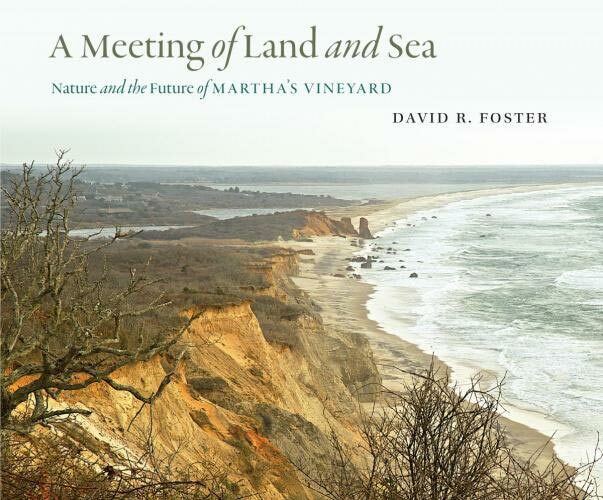 “The coastal ecosystem is unique,” Mr. Foster said, “and within that coastal ecosystem each place is unique.” Compared to other large islands in the Northeast, Martha’s Vineyard is diverse both as a natural system and as a culture. 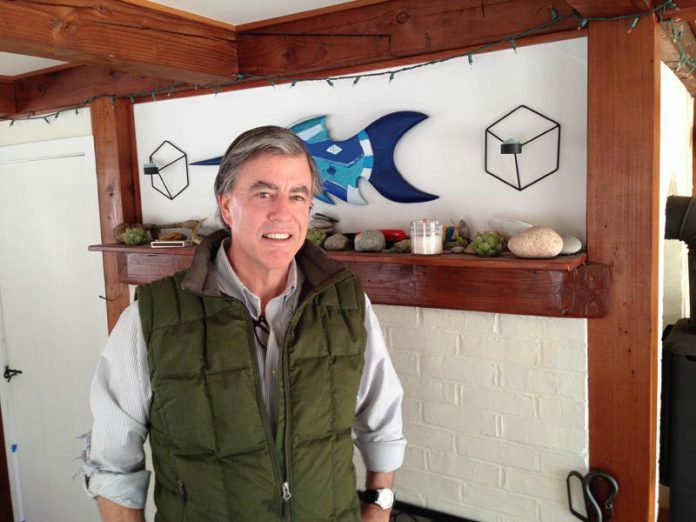 Cape Cod and Long Island, Mr. Foster said, are not as unique as Martha’s Vineyard because both of those land masses are more ecologically connected to the mainland. As an electronic appendix to his book, Mr. Foster and his colleagues scanned a map of Martha’s Vineyard made by Henry Whiting in 1850 and scaled it to overlay a modern land-use map. It is available either for purchase or to inspect online (at mv1850.com). A digital device called a swiper allows the viewer to inspect the changes in land use (or lack of them) between 1850 and 2016. 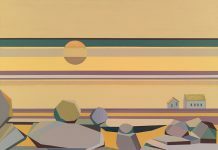 In “A Meeting of Land and Sea,” Mr. Foster reveals some of the manifold processes that produced the modern landscape. For example, Whiting’s map shows that the Island was covered by extensive stretches of unbroken woodland in the mid 19th century, when the rest of the New England landscape consisted largely of agricultural fields, pasture, and scattered woodlots. The vast sandy glacial outwash plain in the middle of the Island, now the site of the Manuel F. Correllus State Forest, was almost entirely woodland in 1850. According to Mr. Foster, the interior of the Island was too susceptible to drought to farm, so it was never cleared and settled. Parts of the forest were cut over and burned, creating a mosaic of heathland and scrub oak. During the first three decades of the 20th century, about 600 acres of the plain served as a reserve for the endangered heath hen. After its extinction in 1932, the state purchased more of the plain and attempted to establish pine plantations, but the methods they used to plant trees didn’t change the forest’s makeup any more than cutting and burning had. The result, Mr. Foster said, is an extensive ancient woodland. Oaks sprout from their roots after they are cut down or burned. Consequently, most of the trees that visitors see in the State Forest are coming up from root systems and trunks that are hundreds of years old. On Martha’s Vineyard, the interior forest was cut down in places, but it was never cleared for agriculture or grazing. The ancient soils and the plant community they support are still intact. The grasslands at the periphery of the Island, particularly along the south shore, are a legacy of agriculture and animal husbandry. “Nothing clears a forest like grazing animals,” Mr. Foster said. “A Meeting of Land and Sea” is full of ideas like this. It is all presented in a large landscape format, illustrated with clear maps and photographs that are beautifully composed and help to tell the story. Sidebars and breakout boxes focus on technical topics or individual historical figures. Mr. Foster’s fluid prose winds through it all like a river among the boulders and trees.